SoundLife Hearing Technologies does more than just fit hearing aids. We care about everyone who walks through our doors. That’s why we offer a variety of services so your hearing aids can continue to work as well as the first day you wore them. You deserve to hear life the way it’s meant to be heard, so when your hearing aids need some TLC, bring them to us. 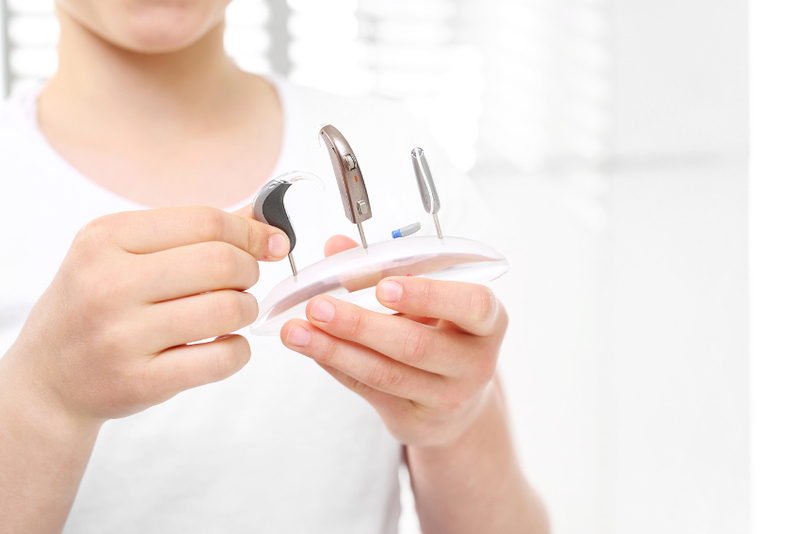 Although hearing aids are incredible little pieces of technology, they aren’t perfect. Sometimes they may need some repairs to make sure they’re working at full capacity. Sometimes people think their hearing aids are broken when they just need a minor repair to bring them back to life! Hearing aid repairs are much cheaper than getting a new hearing aid, so always have them checked before deciding if you need to upgrade to newer, better technology. It’s also important to keep hearing aids clean. Instead of hearing aid repairs, they may just need a good cleaning to fix problems. Dirty hearing aids can sometimes cause all sorts of issues. It’s a good idea to clean your hearing aids at home on a regular basis, but sometimes a professional touch is needed to make sure they’re spotless and as clean as the day you got them. When it turns out a dead hearing aid needs more than TLC, SoundLife Hearing Technologies can handle the hassle of sending your device off to be repaired. We want to ensure your device is working as well as possible and will work with you to get you a fair deal. We encourage you to contact us for pricing information regarding hearing aid repairs. Also, if there’s something like a minor adjustment we can do at one of our offices, we’ll take care of it for you then and there. In addition to getting you the best prices on hearing aid repairs, we also offer hearing aid cleaning services. When you want your hearing aids to be as clean as possible, let us take care of them. You’ll be amazed at what a good cleaning can do for your hearing aids. Soundlife Hearing Technologies believes everyone should hear life the way it’s meant to be heard. When you choose us as your hearing aid provider you will realize as time goes on that you are in good hands. We can take care of everything for you, from choosing the best and most affordable hearing aid for your unique needs to providing all the services you could ever need for your hearing aids. For more information about our services, such as hearing aid repairs and cleanings, contact SoundLife Hearing Technologies today.